How many times do we want to ignore God’s call because we’re not good enough, talented enough, outgoing enough, strong enough…? We feel like someone else would be better because THEY have what’s needed. But that’s not the way God does things. He wants us to bring Him what WE have. 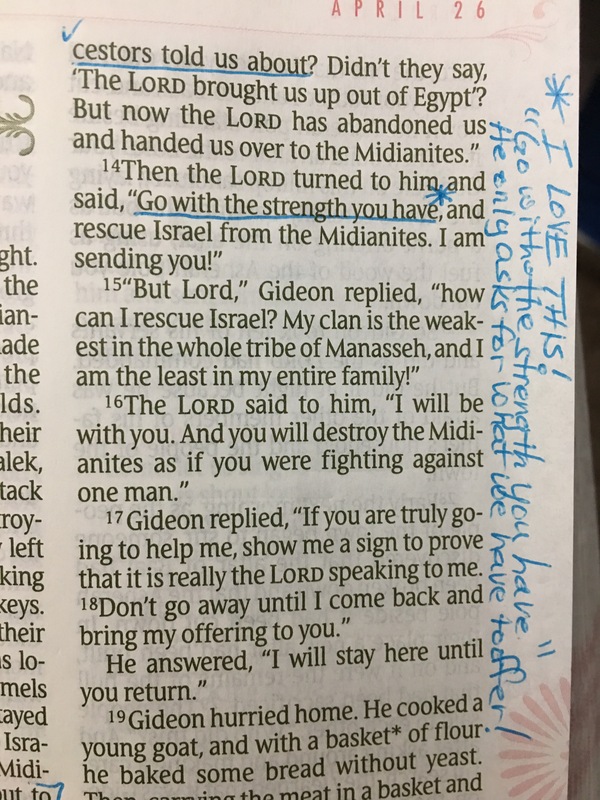 Yes, the strength Gideon had was minimal, but his strength wasn’t the point – God’s was. It was Gideon’s weakness that made room for God’s glory. Go. Go with the strength YOU have!